Choosing the very best Sub-Ohm Tank, one released in 2018, is a Herculean task. What some lack in eJuice capacity they make up for in flavor fidelity, what some lack in vapor production they make up for with huge bubble glass containers. To date, there is NO PERFECT Sub-Ohm Tank. That said, there were a total of FIVE Sub-Ohm Tanks that came as close as ever to being phenomenal tanks for Vapers. 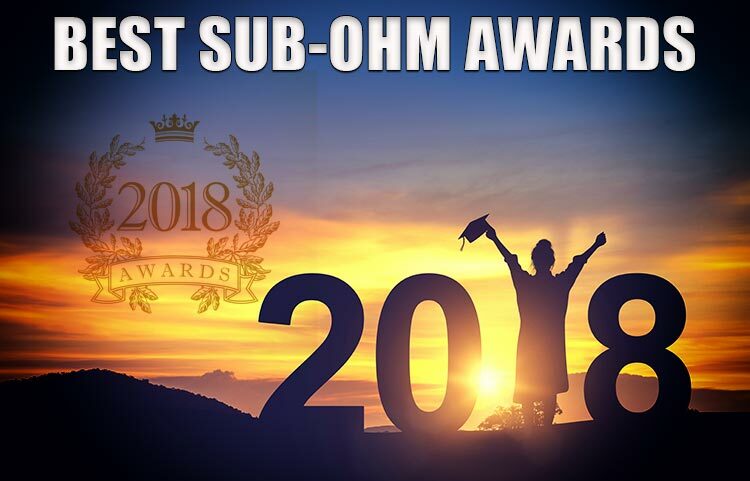 Below are, in our experience, the best the vape industry has to offer for the Sub-Ohm community. 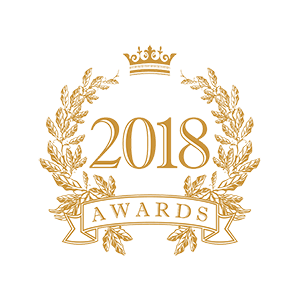 The invention of the Mesh Coil certainly helped, but these nominees and our chosen Award Winner had more going for them than mesh coils, as you will see. 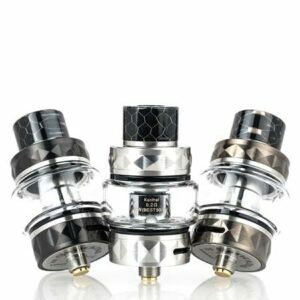 The Skynet from Augvape is easily the winner for Best Sub-Ohm Tank of 2018, despite a newer, more high capacity Skynet, called the Skynet PRO. Why did the Skynet PRO miss the mark? Coil Life. 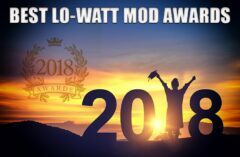 All our nominees are fantastic sub-ohms with incredible flavor and tons of cloud production, but when it comes to coil life, the Augvape Skynet cannot be beat. The Augvape Skynet 24mm Sub-Ohm Tank is the newest premier mesh tank, featuring an expansive 5.1mL glass tank section with the Augvape Skynet Coil System, paired with the adjustable bottom triple airflow. A super high-performance continuation of the fantastic FreeMax’s impressive Sub-Ohm line-up, the new FireLuke Mesh Sub-Ohm Tank introduced a new, and special mesh coil head along with a complete knurled 24mm construction, 3mL max juice capacity, and bottom airflow system. Inspired by the special mesh design, the complete structure of the FireLuke Mesh Tank implements a weaved design element while simultaneously provide a comfortable grip for an easy replacement of the coils and refilling the tank. The juice capacity disappoints at just 3mL of eLiquid, but easily accessed via a threaded top-fill section to expose the two fill ports. The achievement that got this tank into the Spinfuel VAPE Nominee list lies within the atomizer core, in which the FireLuke Mesh Coils utilizes mesh wire for a larger surface area and creates a longer-lasting coil while providing a flavor-focused experience without sacrificing vapor production . Each set comes with a pair of 0.15ohm Mesh Coils rated for 40 to 90W. Airflow enters the FreeMax FireLuke Mesh through two airflow slots located at the base. The Vaporesso SKRR Sub-Ohm Tank is one of the best Sub-Ohm Tanks to be released in 2018, and a real contender for BEST SUB-OHM AWARD. It is the latest flagship Sub-Ohm Tank from Vaporesso, with a huge 8mL eJuice capacity, child-proof top-fill method, dynamic airflow channels, and the utilization of the QF Coil System. 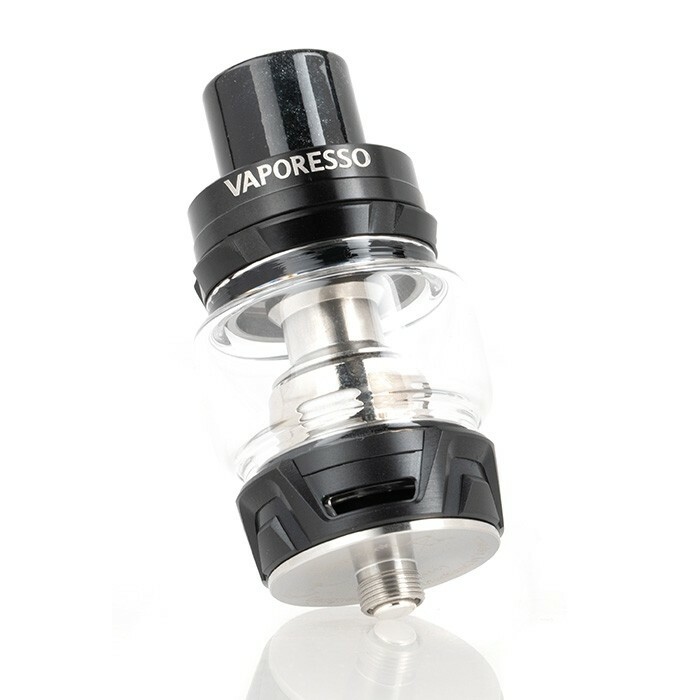 The Vaporesso SKRR Tank adopts the newly introduced Quadflow (QF) Air Distribution System, in which air channels enters the atomizer core and spread internally in four direction. This results in a more optimized airflow for denser clouds while maintaining a smooth delivery in an astonishing manner. Within the prebuilt coils sits an innovative bullet head design with four inlet that prevents any spit-back from occurring and recycles any unvaporized eLiquid to be caught within the internal reservoir. The Vaporesso QF Coil System uses the combination of cotton and flax materials for a long-lasting yet flavor-enhanced performance with the following coil options: 0.18ohm QF Meshed, 0.18ohm QF Strip, and 0.5ohm QF CCELL with the use of the iconic ceramic cCell design. 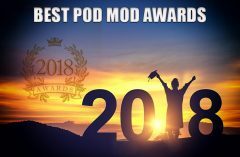 In many ways the Augvape Skynet PRO should have won the Award for BEST SUB-OHM Tank of 2018. The “only” factor that kicked it down the list to a nominee only was the less-than-stellar Coil Life. Clearly better than 99% of the Sub-Ohm Coils released this year, it just couldn’t hold up as long as the Award-Winning Augvape Skynet Mesh. 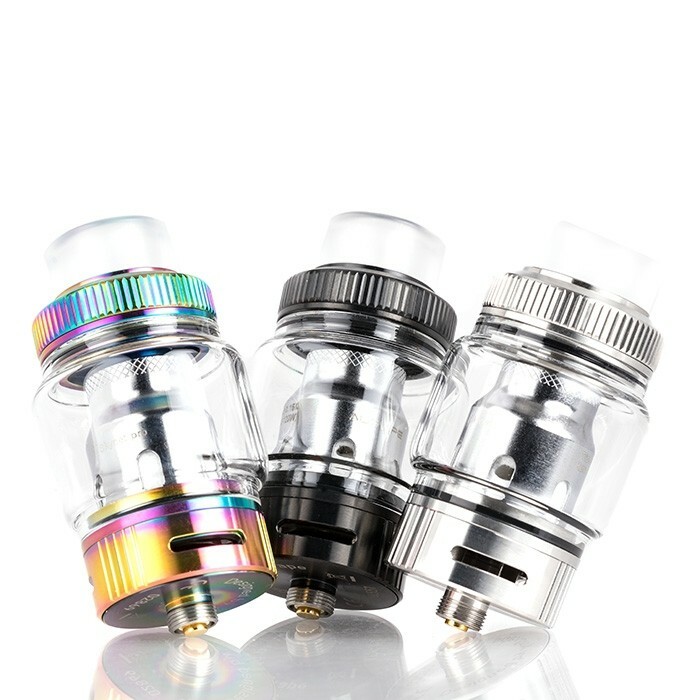 The Augvape Skynet PRO 25mm Sub-Ohm Tank is proud cloud producing machine, utilizing a spacious pyrex glass tank, access to a new line of coils from Augvape, and hosts plenty of quality of ergonomic features. The Skynet Pro can holster up to 3.8mL of ejuice with the standard glass or the capacity can be upgraded to a whopping 7.1mL with the included bubble glass. The Skynet Pro calls upon a new line of mesh coils from Augvape, implementing a dual and triple mesh coil to evenly heat the juice-laden cotton within the coil structure, extending the life of the coil while generating tasty and dense clouds. 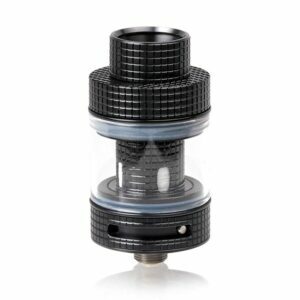 In addition, the Skynet Pro can use coils for revered FreeMax Mesh Pro Tank. This lends a degree of flexibility to the Skynet Pro. Furthermore, the Augvape Skynet Pro includes knurling on the top and bottom ends making refills and airflow adjustment is easily done on the fly and with little-to-no effort, respectively. The triple slotted airflow system can be easily and minutely adjusted to find the perfect style of draw desired by the user. Coming out of left field is a brand new company, VSTICKING, working closely with YiHi. Their very first Sub-Ohm Tank offering is the 2018 VSTICKING VMESH. Superior flavor and vapor production, it’s a rare thing for a first time company to produce a vape device this good. 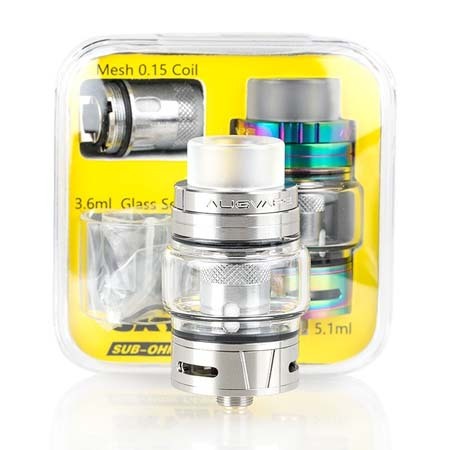 The VSTICKING VMesh Sub-Ohm Tank is the pioneering flagship vape tank, featuring a superior stainless steel construction, leak-proof threaded top fill system, and access to the VSTICKING Mesh Coil Family that sets this tank apart from others. The Vmesh Tank is constructed of superior stainless steel, featuring a raised diamond pattern on the threaded top cap and the adjustable airflow to give better grip and feel to the luxurious design. The threaded top fill system can be accessed by unscrewing and removing the top cap to reveal dual fill ports for today’s vape juice. On the inside of the topcap is an entire silicone seal to prevent any leakage without the tedious need to precisely line up any seals or indicators. The Vmesh tank utilizes mesh coils and produces thick rich clouds full of flavored vapor for a satisfying vape experience.